This section is designed for churches that follow a model of Plural-Elder Church Leadership. The “older” and spiritually mature wisdom figures/exemplars of the faith (elders, Gk., presbuteroi) must indeed “oversee” (bishop, Gk. episkopos) the affairs of the church, but should do this fundamentally as “shepherds” (Gk., poimen) who are compassionately devoted to the spiritual nurture of their flocks. Most all who practice plural-elder church government would affirm this, but often the structural function overpowers the spiritual and relational, sometimes even resulting in a hierarchical or even impersonal and mechanical leadership ethos. A somewhat related but distinct area is Policy Governance such as the model by John and Miriam Carver. This should not be equated with plural-elder church government, but they are often tied together. See the separate Ministry Resources on Policy Governance. The ministry resources listed below cover a good range of issues relative to the elder role. Follow the links to the resources for more detailed summaries. 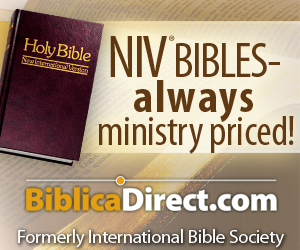 Please remember to check the list at the bottom of the page for related ministry resources. Lynn Anderson, They Smell Like Sheep: Spiritual Leadership for the 21st Century – All elders, regardless of the model they follow, should read this book first. It is gold. Chad Brand and R. Stanton Norman, Editors, Perspectives on Church Government: Five Views of Church Polity – Compares five types of church government: Single-Elder, Presbytery, Congregation, Bishop, and Plural-Elder. Stanley N. Gundry, Paul E. Engle, Steven B. Cowan, Editors, Who Runs the Church: 4 Views of Church Government (Counterpoints: Church Life) – Compares four types of church government: Episcopalian, Presbyterian, Single-Elder Congregational, and Plural-Elder Congregational. R. Alastair Campbell, The Elders: Seniority Within Earliest Christianity - Argues against the elder office and designates it strictly as an honorary title. Contends the church should operate from a free movement of the Spirit of God in the bestowal of gifts or charisms. Andrew D. Clarke, Serve the Community of the Church: Christians as Leaders and Ministers (First-Century Christians in the Graeco-Roman World) – A thorough investigation into how the early Graeco-Roman social context influenced the leadership role of the early church. Benjamin L. Merkle, The Elder and Overseer: One Office in the Early Church, Studies in Biblical Literature 57 – Concludes that “elder” and “overseer” represent the same office in the New Testament, and that the church should be led by only two types of officers: elders/overseers and deacons. Benjamin L. Merkle, 40 Questions About Elders and Deacons (40 Questions and Answers Series) - Takes the conclusions reached in his scholarly work and puts them into an accessible question-answer format. Benjamin L. Merkle, Why Elders? A Biblical and Practical Guide for Church Members - A condensed version of 40 Questions designed for wider congregational use, with emphasis on why each church should have elders. Lynn Anderson, They Smell Like Sheep: Spiritual Leadership for the 21st Century – By far the most compelling, practical, and biblically rich description of the elder-shepherd role. Lynn Anderson, They Smell Like Sheep, Part 2: Leading with the Heart of a Shepherd – The sequel to his first volume. In the first volume, Lynn describes spiritual leadership through the biblical metaphors of shepherding, mentoring, and equipping. In the second volume, he describes the kind of person who can do this work, but more importantly who they are from deep within. Lynn Anderson, The Jesus Touch: Learning the Art of Relationship From the Master – An excellent reflection on Jesus’ style of interaction with people – available, sensitive, helpful, and creative – all of which are at the heart of shepherding. David Fleer and Charles Siburt, Like a Shepherd Lead Us: Guidance for the Gentle Art of Pastoring; Also Good Shepherds: More Guidelines for the Gentle Art of Pastoring – A series of articles selected from presentations at the national multi-site ElderLink workshops sponsored by Abilene Christian University. Timothy Laniak, Shepherds After My Own Heart: Pastoral Tradition and Leadership in the Bible. New Studies in Biblical Theology, and While Shepherds Watch Their Flocks: Rediscovering Biblical Leadership - These are two separate texts, one that is highly academic and the other that is more practical and devotional. Shepherds After My Own Heart is an extensive scholarly treatment on the biblical metaphor of the shepherd-leader. While Shepherds Watch Their Flocks is a collection of 40 daily reflections on biblical leadership according to the shepherd metaphor. Thomas G. Bandy, Spirited Leadership: Empowering People to do What Really Matters – An excellent philosophical description of empowerment. Addressed to all leaders, not limited to churches. The companion volume, Christian Chaos: Revolutionizing the Congregation, is a more step-by-step guidebook that translates the principles of empowerment into congregational life. Norman Shawchuck and Roger Heuser, Managing the Congregation: Building Effective Systems to Serve People – The first fifteen chapters offer excellent perspective on how leaders and congregations work together toward mission. Kennon Callahan, Effective Church Leadership: Building on the Twelve Keys – An excellent development on how leaders and leader teams can function missionally in today’s environment. Ron Clark, Emerging Elders: Developing Shepherds in God’s Image – Stresses that congregations should continually seek and intentionally train men to be elders. As this training is offered consistently, elder/wife teams naturally “emerge” from among the members. Ian Fair, Leadership in the Kingdom: Sensitive Strategies for the Church in a Changing World, Second Edition – An excellent development of how elders lead the congregation vs. manage the status quo. Also good on empowerment vs. control and collaborative vs. directive leadership styles. Mark Dever and Paul Alexander, The Deliberate Church: Building Your Church on the Gospel – Reflects a very conservative perspective that emphasizes the positional/structural authority of elders. Marc Driscoll, On Church Leadership (A Book You’ll Actually Read) – Examines six important areas of church leadership, including elders, deacons, and women in leadership. He also answers seventeen common questions on issues such as leader accountability, ordainment, voting, membership covenants, etc. Gene A. Getz, Elders and Leaders, God’s Plan for Leading the Church, A Biblical, Historical, and Cultural Perspective – Good biblical presentation on how plural-elder led governance is reflected in Scripture, and how this may express itself practically in the congregation. Suggests a model where one elder (pastor) serves as the primary leader. Phil A. Newton, Elders in Congregational Life: Rediscovering the Biblical Model for Church Leadership – Argues for plural-elder-led polity among Baptist churches. Offers a good discussion of how elder plurality is a good balance between pure congregationalism and senior pastor-led models. Alexander Strauch, Biblical Eldership: An Urgent Call to Restore Biblical Church Leadership, Revised and Expanded Edition – Surveys scripture to teach a view of elders that emphasizes their structural authority. Also rejects CEO model for ministers. Note the pros and cons in the larger summary. Richard Swartley, Eldership in Action: Through Biblical Governance of the Church. ECS Ministries - A companion to the Strauch volumes. Timothy Z. Witmer, The Shepherd Leader: Achieving Effective Shepherding In Your Church - A Presbyterian model, includes pieces that are more broadly useful. Ruth Haley Barton, Pursuing God’s Will Together: A Discernment Practice for Leadership Groups (Transforming Center Set) - Barton designed this book to be a “one-stop-shop for leadership groups who wish to become a community for discernment.” Excellent guide that moves groups beyond mere “decision-making” to discernment of God’s will. Danny E. Morris and Charles M. Olsen, Discerning God’s Will Together: A Spiritual Practice for the Church. Revised and Updated – An excellent guide to spiritual perspectives and practices that generate decisions attuned to God’s leading for one’s congregation. Alexander Strauch, Meetings that Work: A Guide to Effective Elders’ Meetings – One of the few volumes devoted specifically to elders’ meetings. Should be supplemented with material from the Ministry Resource Guide on Ministry Teams. Ron Clark, Emerging Elders: Developing Shepherds in God’s Image – Presents Clark’s tested model of training men to be elders. As this training is offered consistently, elder/wife teams naturally “emerge” from among the members. Olsen and Morseth, Selecting Church Leaders: A Practice in Spiritual Discernment - Suggests spiritual practices (e.g. scripture, silence, worship) to bring the entire congregation and ministry candidates into a prayerful process of aligning themselves with God’s intentions. Focused on minister selection, but with many useful for any appointed congregational leadership role.